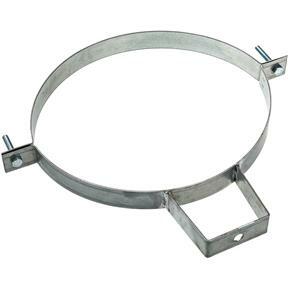 Using the same idea that makes QF ducting so fast to install, Nordfab placed the nuts and bolts that other hangers use with a genuine Nordfab QF clamp. To use the clamp hanger, simple slide it into place and clamp it. It's that simple! Repositioning is no problem either; simply unclamp the hanger, slide to the new position, and reclamp. Features the HJ style top hat, 12" clamp.